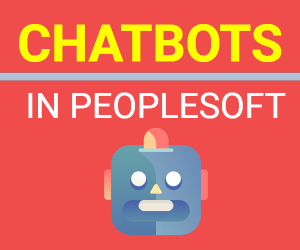 There are scenarios especially when doing a PeopleTools upgrade that you might have to establish PeopleSoft Integration Broker messaging between instances running at different PeopleTools levels. Let me give you an example – Say you have the following solutions implemented on PeopleTools 8.50.08: PeopleSoft HCM 9.1, PeopleSoft CRM 9.1, PeopleSoft FMS 9.1, PeopleSoft Portal 9.1 and PeopleSoft ELM 9.1. 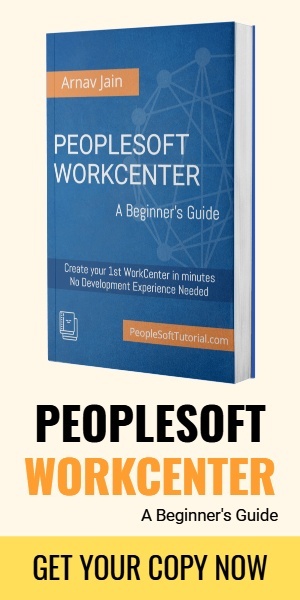 And you decide to do PeopleTools upgrade to PeopleTools 8.53.04 (latest PeopleTools release at the time of writing this article) only for PeopleSoft Portal and PeopleSoft CRM. In this post, I will try to explain how to configure messaging between these instances running at two different PeopleTools level. This article has been created using Doc ID 1302908.1 as reference. While Doc ID 1302908.1 is good – it does get confusing and does not address all the pitfalls, which I will try to address here. Let me begin with this piece of information: You can not use Local Gateway to configure integration broker messaging between PeopleSoft instances at different PeopleTools levels. Oracle has acknowledged that the fix for the same is due to be released in PeopleTools 8.53.06 release (not yet available as of July 2013). What you need to do is to create 2 gateways – Local and Remote. Local gateway will be used to enable messaging between instances at the same PeopleTools level and remote gateway will be used to enable messaging between instances at different PeopleTools levels. In the 8.53 system set up in its LOCAL gateway definition the 8.53 gateway URL. In the 8.50 system set the in its LOCAL gateway definition the 8.50 gateway URL. In the 8.53 system create a remote (nonlocal) gateway definition with any name, e.g. RMT850GW and set it up with the 8.50 gateway URL. In the 8.50 system create a remote (nonlocal) gateway definition with any name, e.g. RMT853GW and set it up with the 8.53 gateway URL. In the 8.53 system set the remote 8.50 node Connectors to use the remote gateway you created on step #3 (RMT850GW or whatever name you gave it). In the 8.50 system set the remote 8.53 node Connectors to use the remote gateway you created on step #4 (RMT853GW or whatever name you gave it). Test the new setup by pinging both nodes, 8.53 node and 8.50 node from both systems, the 8.53 system and 8.50 system. Lets explore a few critical steps in detail. You will need 2 appservers (running at two different PeopleTools level) to begin with. Like in the scenario explained, CRM and Portal will use the PeopleTools 8.53.04 appserver as their local gateway. You will need to create a remote gateway, which will use the URL of the PeopleTools 8.50.08 to talk to HCM, FMS and ELM. Cannot establish HTTP connection (158, 2842) when you try to load connectors. This is because PeopleSoft has done a few changes to security in PeopleTools 8.53. PeopleSoft no longer defaults to the default keystore password as password and you need to select a password. Refer to the URLs provided to resolve the issues associated with node and connectors. When the connections are proper, you would be able to ping nodes from both the sides. For example when in Portal, you would be able to ping node of HCM defined in RMT850GW and at the same time when in HCM, you would be able to ping the Portal node defined in RMT853GW. If you have any doubts or face any issues regarding the same, please let me know in the comments section below.